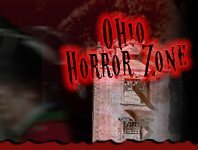 If Trick Or Treating in the busy streets of Cleveland gets you worried or if your neighbors in Columbus just don't seem to be as into Halloween as your family is, we've got an alternative for you and your children. Why worry about the dangers that the night brings and unsafe conditions for your children? Safe Trick Or Treating brings all the joys of traditional candy hunting into the confines of local schools and organizations. It's a fun way to celebrate Halloween and dressing up in this year's costumes without a ton of stress or hassle. Your kids are sure to love it just as much, if not better and your mind will be at ease. Barn-n-Bunk Farm Market Fall Festival Trenton 253 days ago Rate Now! NWORP Pumpkin Train Findlay 250 days ago Rate Now!